HP Fan Trips is organizing one last Harry Potter Fan Trip this summer to celebrate the release of the final Harry Potter Film. 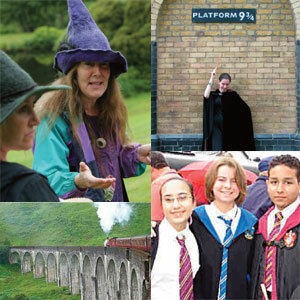 “We’ve taken the best from each of the seven years of our top-rate HP Fan Trips and created this special itinerary to celebrate the release of the final film in the Harry Potter story,” the organizers said in a special notice to those on their email list. Dates for this final foray are July 9-17, 2011 (London/Oxford/Scotland) and July 12-17, 2011 (Scotland Only). For more information visit www.hpfantrips.com.